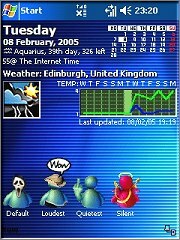 Various programs to use on your Today Screen. Programs give you more information, in more convenient styles. All programs work well with Pocket PC® or Windows Mobile® operating systems. 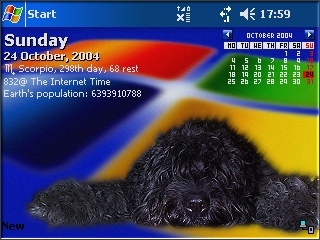 All programs have configured fonts, colors, icons and many visual features. 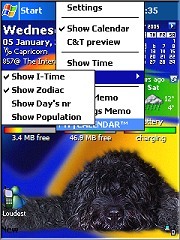 All programs display the menu when you tap-and-hold the stylus or finger on the screen. Attention owners of the newest hardware. 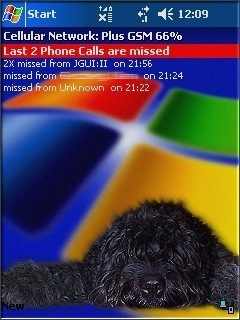 In some cases you can get problems with your device and programs touch phone or message features. Please do a whole back-up of your data, before you try the new software. We try to test programs with many devices, but there are lots of them today. But we cannot guarantee, that's why we provide a FREE trial versions. aka: Calendar-and-Time is a World-wide Calendar Reform! a Professor at Johns Hopkins University in Baltimore. C&T is much more convenient than is our present, so called: Gregorian calendar. Since C&T start, every year calendar is identical. Your bithday is on the same weekday, holiday seasons are running always on the same days. No changes every year. but you can try and use C&T with MY|CALENDAR right now. To switch between calendar's view, just tap the today's date line. * This feature will be available in the next version. you will get the extra add-on with no more charges. 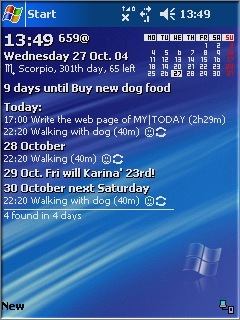 This application works ONLY with Pocket PC Phone Edition devices, like: XDA, O2, MDA, I-Mate and others. Because there is a large number of different devices on the market now, please be sure it works fine with your device, before you will decide to buy and unlock. auto-hide details after 15 sec. Please note: when you change (turn on/off) Phone GSM, Bluetooth services with Profiles, you have to wait a moment until changes are recognized. This can take several seconds some time. Observe the taskbar icon on the top until you see changes. 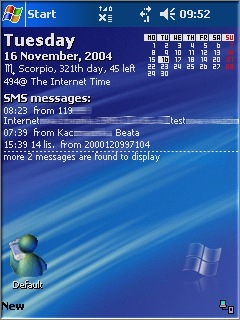 Windows Mobile 2003 or newest operating systems. Copyright ©1995- JGUI. All rights reserved. JGUI logo, name, picture(s) are registered and copyrighted by JGUI. Pocket PC, Pocket PC Phone Edition, Windows Mobile, MS Smartphone are copyrighted by Microsoft Corp.